Renovated Beautifully with lots of character 14x56 2 bedrooms 1 bath mobile home on deep water cove with covered dock and boat lift. Fenced yard with oversized gate added for easy access for boat trailers. Huge newly screened back porch for views of the lake. New items within the past 2 years include. Windows, doors, hot water heater, new flooring in kitchen, den, hallway, and bath. New bath vanity, bathtub, fixtures. shoreline steps. New plumbing throughout the home. New paint. 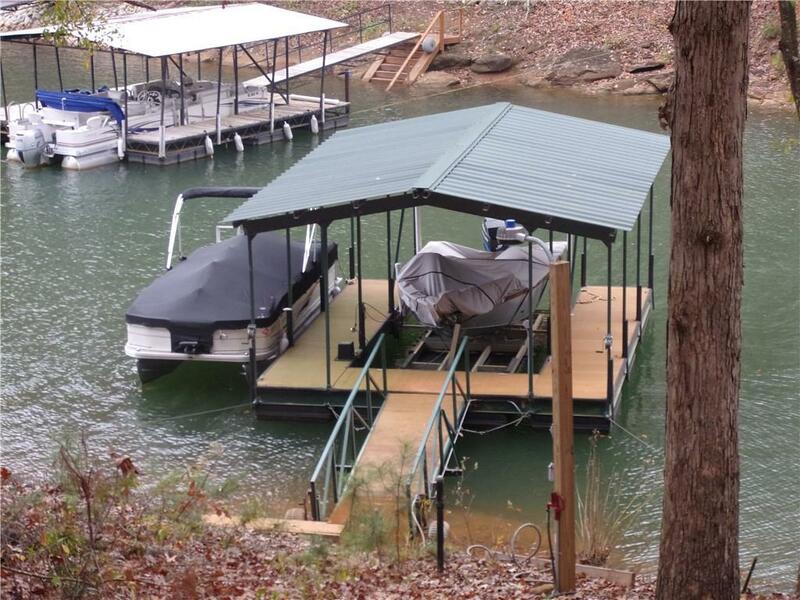 New boat lift. Power to the dock, water to dock, light pole at the dock, floodlights on the dock. Near I-85, Greenville & Anderson, SC. Atlanta only 2 hrs away. What are you waiting for? Call the agent and make an appointment today.